Culture blends with contemporary design in each of our 213 rooms and suites equipped with our unique cocoon MyBed™ concept . The rich carpets that line the corridors throughout the hotel take inspiration from Henna patterns, a special touch mirroring the unique MGallery concept of Inspired by Her. 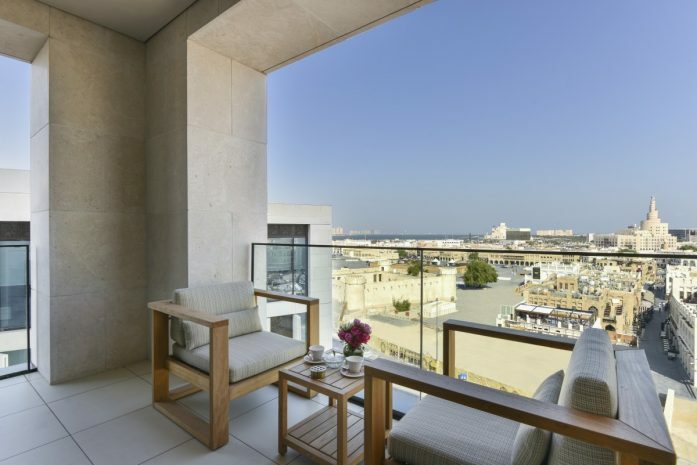 A striking collaboration between modern design and Qatari warmth in an instantly inviting space. 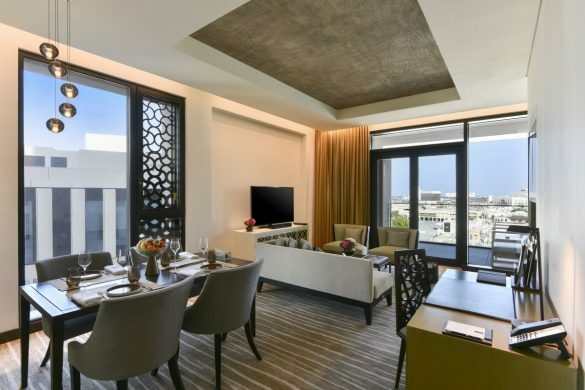 The age-old generosity of the Qatari people is marked on the top of each room and suites door with a golden leaf to reflect the open in readiness to welcome visitors and treat them with authentic Qatari hospitality. Alwadi Doha MGallery is intricately designed rooms features elements of the bespoke Mashrabiya, especially designed for this hotel. 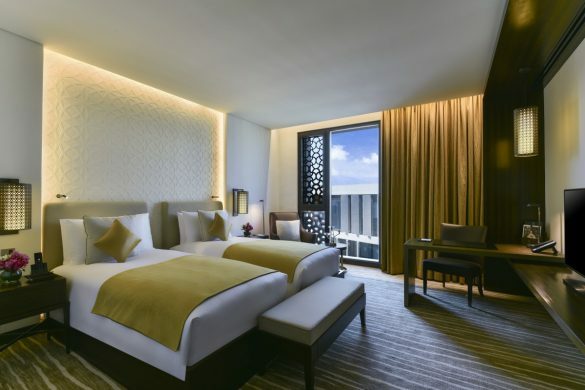 Step inside one of our rooms or suites and enjoy lovingly created interiors of Arabic motifs and the colors of Qatar fused with latest interior design features. 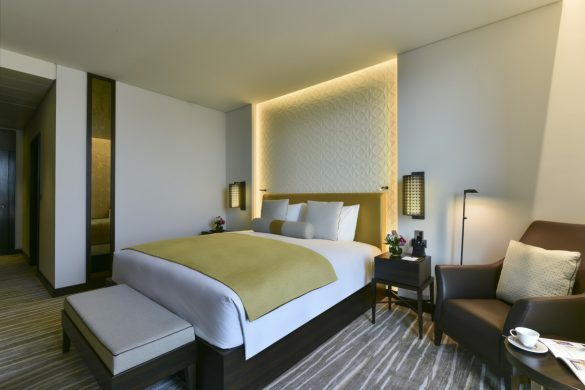 Soft carpeting under your feet, inviting armchairs, crisp bed linens and comfortable beds for a night of sound slumber, the latest audio-visual, lighting technology and panoramic views of Doha makes our beautiful elegant rooms and suites a true luxury home away from home experience. Contributing to a charming and truly unforgettable stay, we are proud to offer a range of amenities and services especially for you including luxurious toiletries, latest-generation hairdryer and so much more.